Prayers that Heal the Heart reveals all the necessarily elements, in great depth, about how to practically heal all your heart wounds. Through it, you will be free, once and for all. Get Your 3 Free Prayers that Heal The Heart videos that will teach you how to heal your heart from all wounds. Blog by Mark Virkler on Deliverance from Demons Through a "Revelation-Based Power Encounter"
Blog: Teaming Up for Deliverance: A Prophet and Teacher Minister Together. 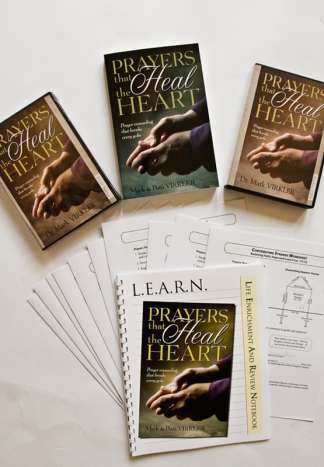 The Prayers That Heal the Heart DVD Module provides a full learning and healing experience for individuals or groups to explore this healing pattern in depth. 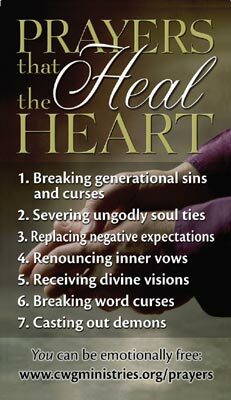 An interactive online training module, titled "Prayers That Heal the Heart" is available here. Find a "Counseled by God" or "Prayers That Heal the Heart" group near you! 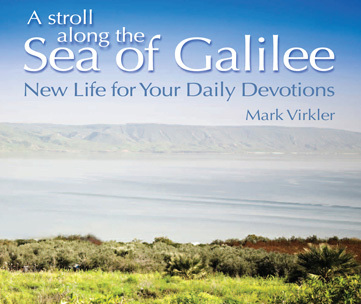 See Mark Virkler's recent TV interview with Sid Roth where they talk about the Seven Prayers. 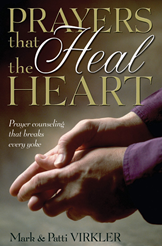 Listen online to Mark Virkler's recent "Prayers That Heal the Heart" radio call-in interview. Mini tracts the size of a business card which introduce the Seven Prayers to others, and can be used as a "cheat sheet" for your own benefit! 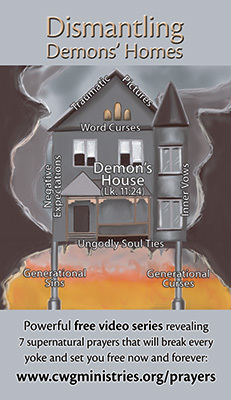 Includes a diagram of Dismantling Demons' Homes on the back side, shown below. Price was $5 per 100. Now free with any purchase! Just request the number you'd like of "Free Gift #2" at checkout.